Feed Your Missionaries | For the Joy of Life. We really enjoy having people over. Especially for dinner. I love preparing a meal and using our best dishes to serve the meal in. It's just fun for me. We had about 5 different people over for dinner just this week and 2 of them happen to be the missionaries serving in our stake. They were so enthusiastic about the work they are doing and had such strong testimonies of the restored gospel. One is from Wales and the other is from Guatemala which made for some pretty cool stories back home but they both agreed that they are so happy where they are and are not ready to go back home. It brought back many memories for my sweet Hunter. After all, he has only been home for 5 months. I loved hearing him ask the Elders questions I wouldn't have even thought to ask because he lived what they are experiencing currently. It was so fun to hear one Returned Missionary and 2 Full-Time Missionaries converse about the joys preaching the gospel can bring. I must admit that seeing my husband be the head of the household, and asking one Elder to give the prayer before dinner was quite the dream come true. We had both dreamed of doing service together as a married couple for quite some time and feeding the missionaries was always on that list. Those wonderful Elders sure brought a special spirit into our home. We are so grateful for all the missionaries serving, whether or not they have a black name tag on. Ps. 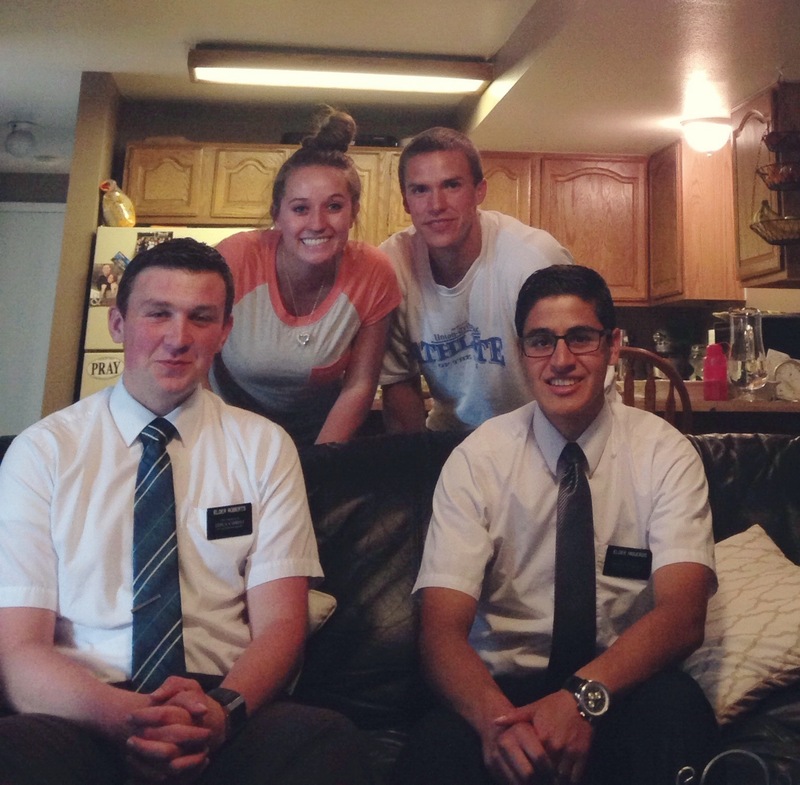 Wanna chat with the missionaries online? I know you do!